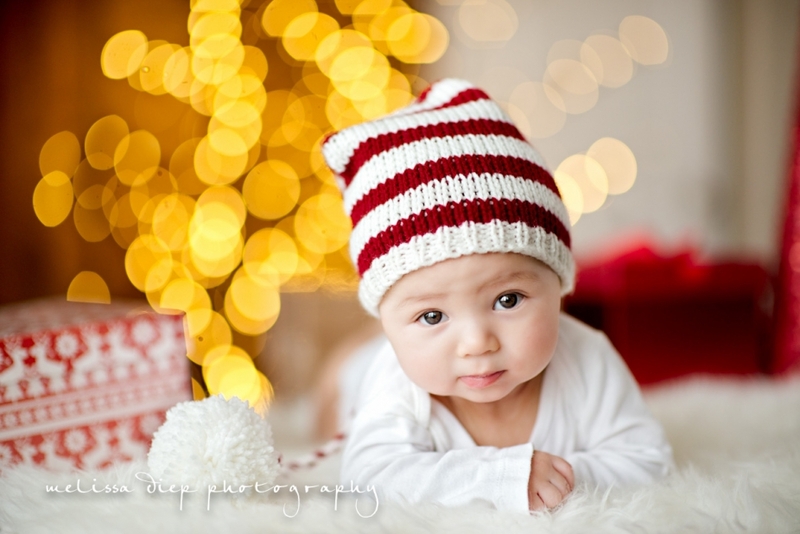 Baby’s First Christmas Photo Tip! Since posting the photo of my Little Wee G yesterday on Facebook, I got many, many emails from photographers, asking me how I created that shot. I recreated that scene again today so you can get an idea what was done. 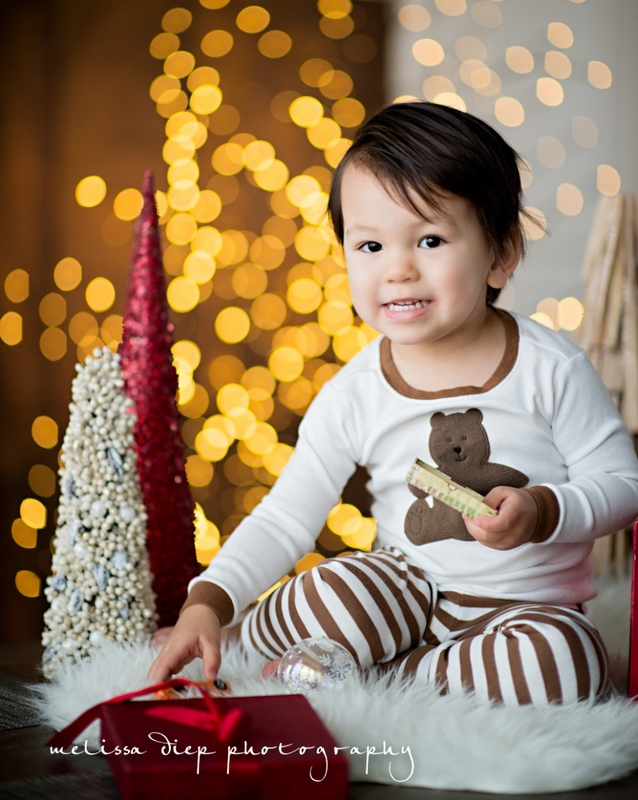 I propped both Little G and Little Wee G separately on the table so they can get more of the bokeh effect from the tree since there’s more lights up top than the bottom. Always remember, SAFETY FIRST!!! The Giant was less than a foot away and was there to help assist me during Little Wee G’s session. I can’t stress this enough, safety, safety, safety!! So here are the deets! Litte Wee G’s elf hat can be purchased here. Litte G’s pajamas can be purchased here. Hope this helps. Happy Holidays from our family to yours! Love this images. Where did you get the tree from that you used for these photos?